Grave / Reference: III. G. 35. 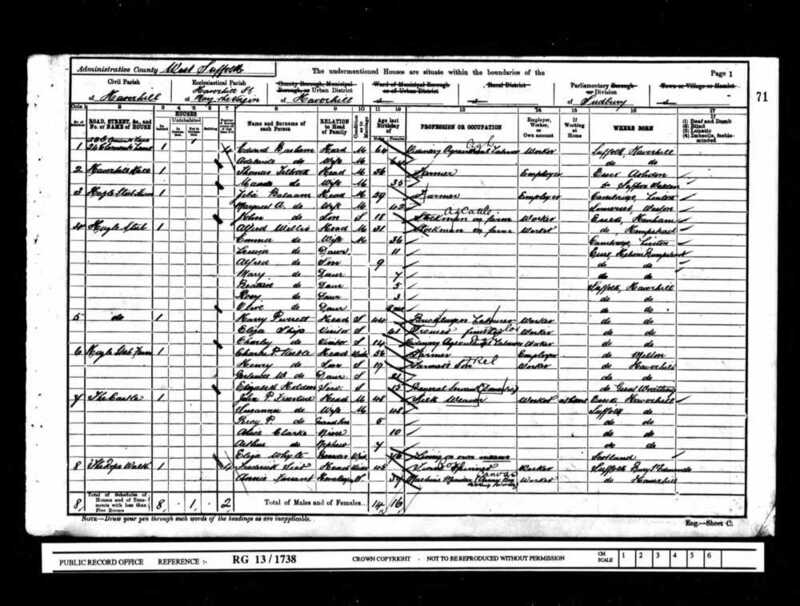 Nelson was born in Haverhill in 1897 but by 1911 he was 15 and living in Fulham with his brother’s family; Herbert (26), Sister in law Edith (26) and their son Herbert (3). He was employed as a pageboy at a college. 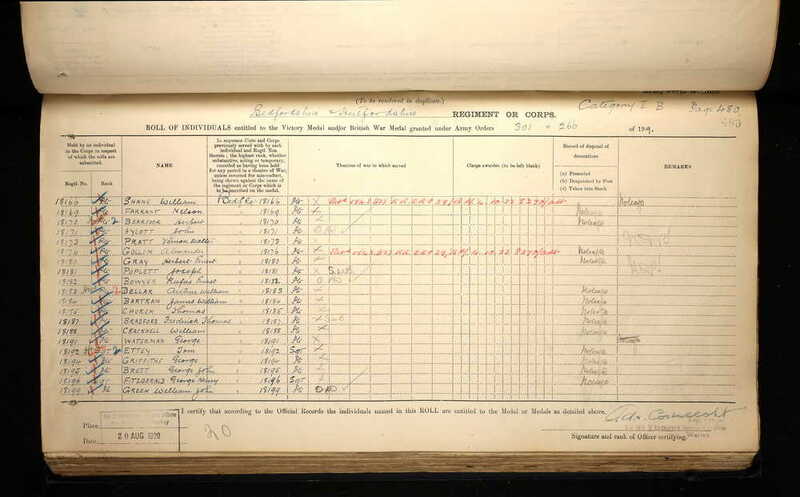 We are not sure how or when Nelson joined the army, but we know he served with the 6th (Service) Battalion of the Bedfordshire Regiment who were formed at Bedford in August 1914 as part of K1 and attached as Divisional Troops to 9th (Scottish) Division. In March 1915 they transferred to 112th Brigade, 37th Division. 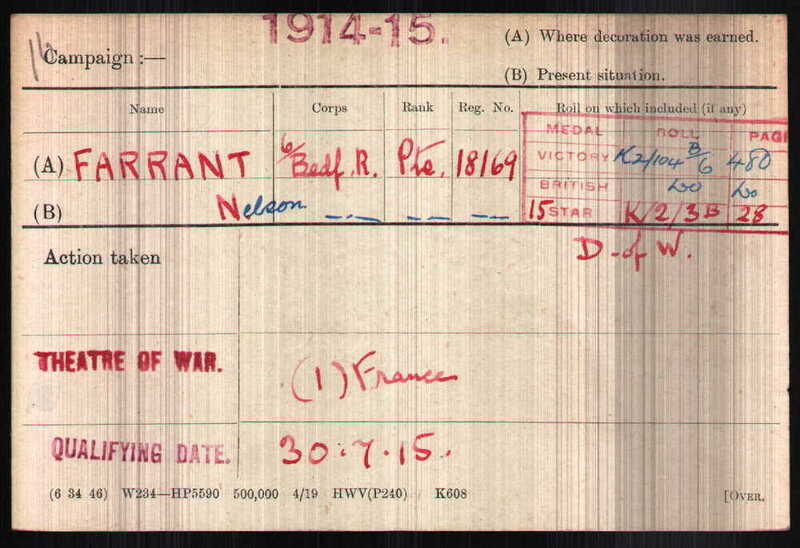 Nelson's Medal Index Card showing the date he entered France. 13 Jul 1916 - Tara-Usna Line Moved to USNA-TARA line. 15 Jul 1916 [The Battle of the Somme - the Battle of Bazentin] Attack on POZIERES by 112th Bde. from trenches S. of CONTALMAISON, Bde. held up by hostile machine guns, established itself about 100 yds from the lisiere [100 yards north of the edge of Contalmaison Wood] & dug in. Casualties (3 Offs Killed, 32 O.R. Killed) (25 missing) (9 Offrs. Wounded, 174 O.R. Wounded). 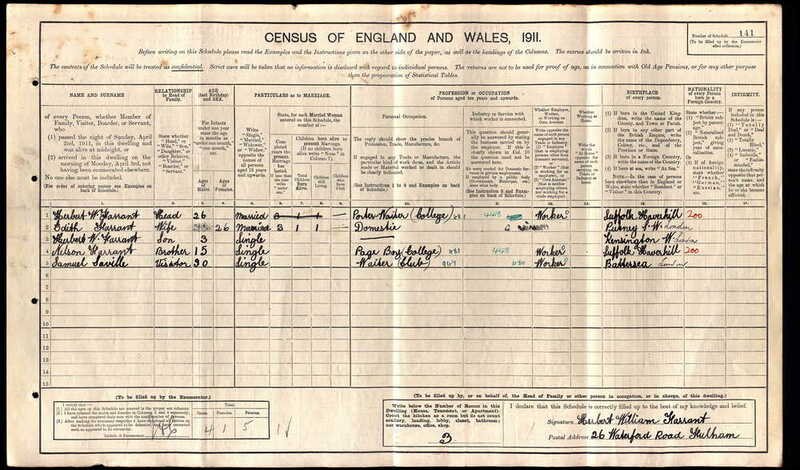 16 Jul 1916 - Albert Battn moved to ALBERT. 1916 trench map showing the positions and direction of travel of the 6th Bn Bedfordshire Regt. The circle indicates where Nelson was initially buried. 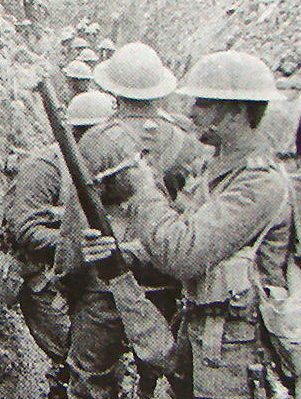 Soldier with a breach cover fitted to his rifle. The breach cover is a canvas cover that fits around the rifle's breach area to keep it clean and free from mud. The breach cover like all Nelson's personal equipment would have had his regimental number marked stamped on it and it my have been left with the body for identification purposes. Nelson was initially buried close to where he fell. 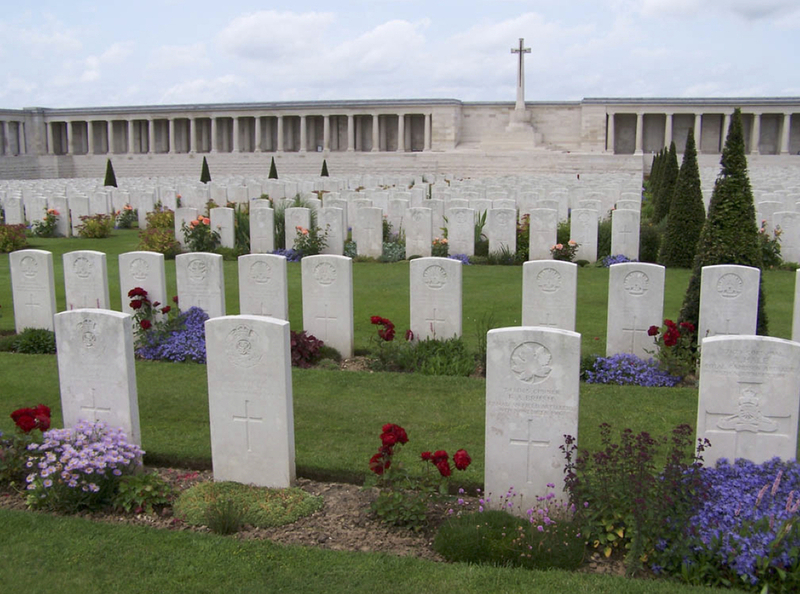 After the war in June 1919, his body was exhumed by a Canadian Graves Recovery Unit and moved to Pozieres Military Cemetery where it lies today. When his body was recovered, he had with him his ‘Breach Cover’. By the time of his death, his mother had moved to 41 Angel Street, Hadleigh, which is why he appears on the town’s war memorial. 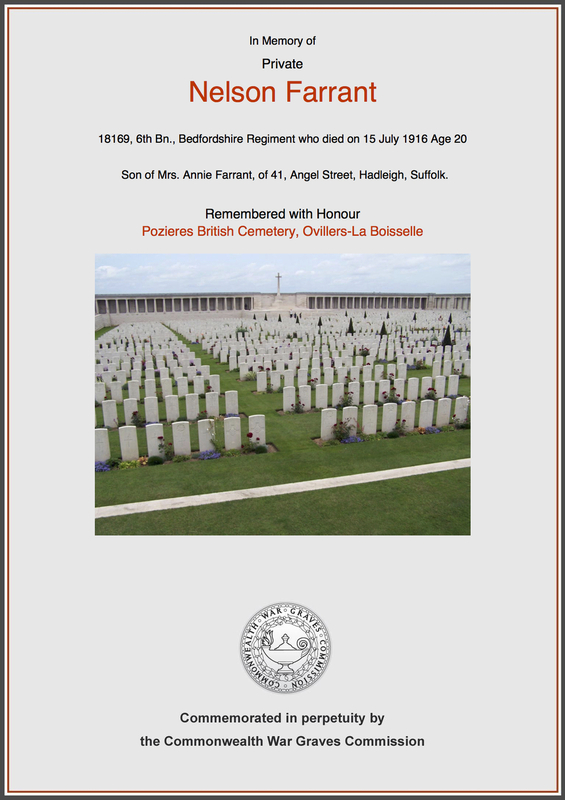 We hope that this page has been able to tell the story of Nelson Farrant. If you know of any information which might help to add to the story then please get in touch.